We have more bad news for Switch owners hoping for a beefier Fallout experience. 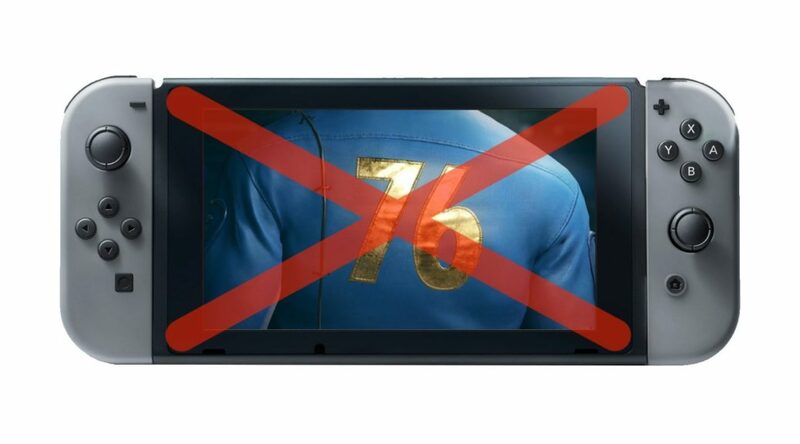 Recently, GameSpot interviewed Bethesda’s Marketing Executive Pete Hines about Fallout 76 – and whether the multiplayer survival game would be gracing the Nintendo Switch. The Switch is something I can say with certainty that it’s a part of every conversation with every dev we have now… If the game will work on it, we want it to be on every platform possible. Hines did not elaborate on why the game was not ‘doable,’ however. Perhaps the game will be too large for the Switch, just like Elder Scrolls Online.